By Bola Sokunbi. Published on February 17, 2016. 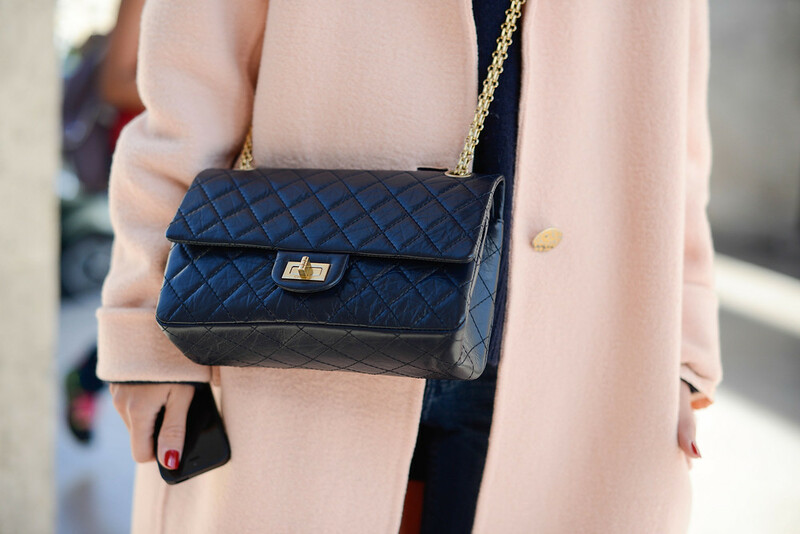 A Chanel handbag is on almost every girl's wish list specifically the classic flap. It's understated, iconic and transcends seasons. It's not hard to see why so many women love this gorgeous handbag. It also comes with a hefty price tag - depending on what size of the classic flap you want, it can run you anywhere from $4500 to $6000 (not including sales tax). YIKES! But owning one is very possible with the right planning and with patience. Affording super expensive items means you need to be able to pay for them and having a job is essential for you to do that. If you are not working or recently unemployed, you should prioritize getting a job and dealing with your bills first before thinking about a purchase as expensive as a Chanel handbag. Are your major monthly expenses covered? What about upcoming expenses? Are you starting a business? Saving for a house? Determine what your priorities are and then determine if this is the right time to begin saving for a Chanel handbag. It's ok to push your handbag savings start date to a later time. If you have any revolving debt then you should create a plan to pay this off first before even considering an expensive handbag. The interest you will pay on any revolving debt is not worth it and you should definitely not be increasing your debt balance by purchasing your handbag on credit. Focus on eliminating your debt first. So now steps 1 through 3 are out of the way and you are ready to save for your gorgeous handbag. You should open up a specific account where you can begin saving for your handbag. Don't forget to name it accordingly so you can keep what you are saving for in mind. Also, don't make it a habit of withdrawing funds from this account unless its an emergency. This will enable you o build up your handbag savings guilt free. Keep your focus razor sharp on the purchase you want to make - your Chanel handbag - and eliminate any miscellaneous shopping. Skip the trends and random visits or purchases at the mall. Instead, put that spare money in your handbag savings account. Not only will this help you attain your goal of owning a Chanel handbag faster, you'll also be spending less money on things you don't truly love in the first place. You may be able to lower how much you spend on your purse if you purchase one that is pre-owned. There are a few reputable websites like Fashionphile.com, Yoogiscloset.com, and annsfabulousfinds.com that offer pre-owned designer handbags at a slightly reduced cost. Be sure to do your research though on places like the purse forum, and if it is hard to find a handbag, the prices on these websites are more than likely more than what it would cost you to purchase in store - especially for a handbag in excellent condition. Keep in mind that while it's ok to own nice and expensive things, they should not be at the expense of your life and financial goals.